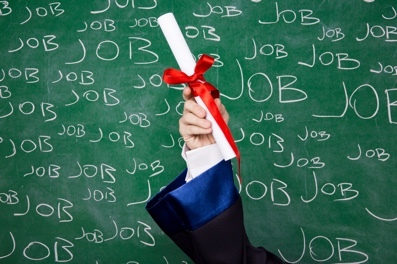 Higher Education or “HIRE” Education? There’s no denying that we’re facing some very tight financial challenges in higher education. Added to our institution’s financial issues, students are also encountering higher tuition rates and, for many, a bleak post-graduation job landscape. Two questions seem to be asked more frequently in the news, online, and by funding agencies. 1) What is the purpose of higher education? 2) Should our students expect to be job-ready upon completing college? eCampusNews recently published University places 98 percent of grads in careers-here’s how which described Bently University. I went to the Bentley University website to take a closer look. Their HIGHER Education program shows a serious focus on HIRE Education with four key stages and some pretty interesting checklists for students that are available on the web. I found these articles of interest and hope that we can schedule time (perhaps a future roundtable) to discuss our campus philosophy. Are we for higher education, or for hire education, or both? I look forward to your comments. I’d like to have that discussion. It’s an important one.